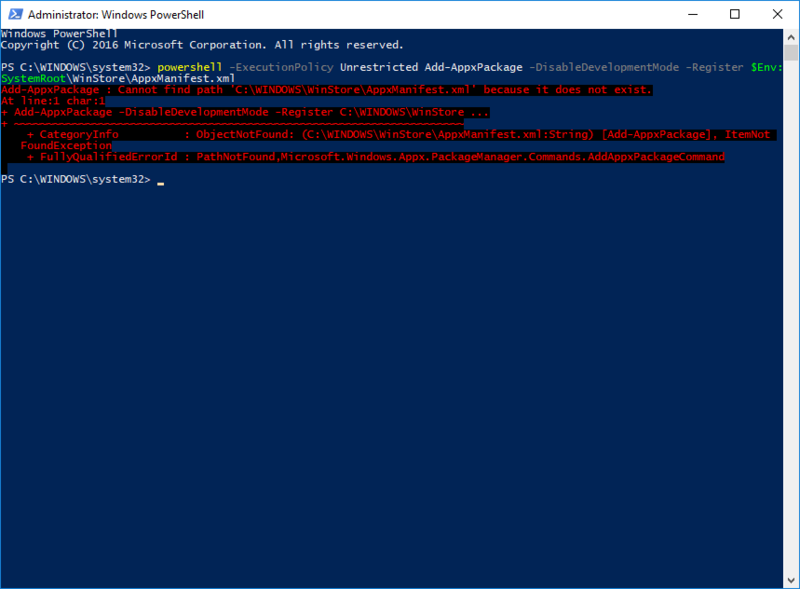 Has anyone found a working fix for when the store won't load and just gives the "something bad happened, unknown layout specified in manifest" error? I've tried the wsreset.exe, repairing the app from Settings, and the longer commandline fix from Powershell as administrator with no luck. The Windows troubleshooter will find that the store cache is damaged but it wont fix it. Last edited by On2wheels; October 7, 2017 at 10:06 AM. Perhaps try a "sfc /scannow" and a "dism /online /cleanup-image /restorehealth"? That DISM is new, havent seen it before but it didn't help either, at least the /restorehealth switch didn't. I saw some other options for that scan on the site I found but didnt try them, they looked less effective at repairing. The scannow didn't find anything either. What's odd is the Store app is listed as being 894KB in size in the Settings menu, the icon is still in the start menu, but that same white error screen shows up when I run it. My store app is 34mb+ so seeing it under 1MB says to me it is not installed and you are probably fighting a registry issue. Something is still registering that the store is installed, but it seems highly unlikely to me that it is indeed there.